Do you find it difficult to make your mixes stand out from the crowd? Have you ever sat down at your DAW, determined to make an outstanding mix, and after several hours of hard work, it feels like you’ve made no progress at all? It makes your want to bang your head against the wall! And with the growing number of producers, artists and engineers out there nowadays, it seems like it’s harder than ever to come up with a really unique sounding mix. But because today’s scene is SO competitive, making music that sounds unique is more important than ever. So how do you get that edge? Just telling you to innovate doesn’t make your job any easier. So, I’m also going to tell you HOW you should innovate. But it takes creativity and it takes work. Are you bold enough to mix on your own terms? It seems like nowadays everybody uses the same type of stuff to produce their tracks. Think about it, every recording studio has more or less the same gear. And because of this their mixing can often end up sounding fairly similar. And this is a problem for artists and producers who record at home too, they tend to use the same emulations and plug-ins for creating their mixes. But by being bold and trying out new tools and techniques, your mixes will stand more of a chance to sound unique. Taking chances and trying new things is the mark of a true innovator. There are plenty of plug-ins out there you can get, but you need ones that give you new options as well as old. But you don’t just want the usual run-of-the-mill plug-ins. You want to have access to classics, but also to new technologies that allow you to come up with your own distinctive sound. Imagine having collection of plug-ins that can put all that power at right your fingertips. What kind of difference would this make on your mixes? What if I told you that you can get all that cutting-edge power inside your favorite DAW, at a price that can't be beat? This is your chance to get access to some of the best and most innovative plug-ins on the market today. McDSP plug-ins are top of the line. They’re the absolute best you can get, and if you wanted to purchase their entire library it would cost you…. That’s the cost to buy of all of their plug-ins outright. Now, honestly that might sound like a lot, but as a busy professional engineer you’d get your money back extremely quickly. A song or two on the radio, a TV show on a major network, or even a Hollywood movie, and $1699 would seem like a drop in the ocean then. That’s why the McDSP All Access Plan on subscription from Gobbler is such good value. Because you can get all those same plugins - McDSP’s entire library, worth $1699, for just $12.99 a month. That’s less than 50 cents a day. 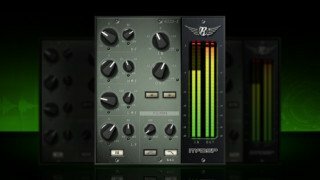 For that ridiculously low price, you get access to some of the best audio plug-ins available right now. Well…it’s because it’s McDSP’s birthday. The company is 20 years old this year and as a result they’re offering their incredible All Access Plan for half-price. After that it’ll revert to costing $24.99 a month. But the offer is lasting for only a short time. Plus You Get a FREE iLok3! - If you order now, and you don’t already have one, we will send you a FREE iLok3 as part of ANY subscription*.